Taste test: These potato chips were very crisp and had a very nice crunch. 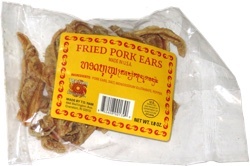 The barbecue flavor was sweet and tasty, and maybe even a little smoky, but there was no heat whatsoever. Not much of an aftertaste either. 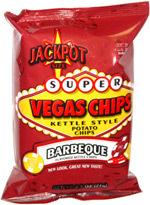 Good chips, with all sorts of potentially useful Vegas trivia on the bag of the bag.